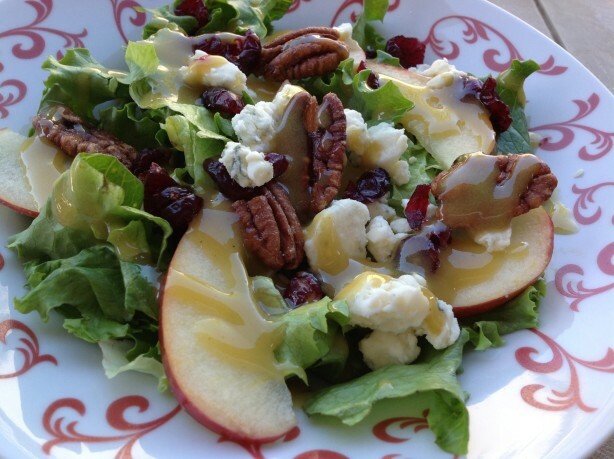 This is a favorite salad recipe featuring apples, pecans, and dried cherries. Add chopped cooked chicken for a main dish meal. Dovetailing Tip: Instead of adding the salad dressing to then entire salad, divide the salad onto plates for each serving, Drizzle each serving with dressing. Save the leftover salad and dressing to serve with Meal 3.